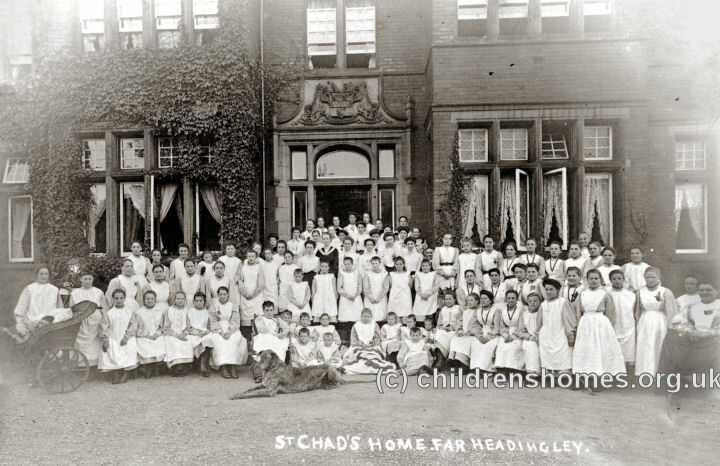 St Chad's Home for Girls was opened by the Waifs and Strays Society in January 1889 at Glebe House, Hollin Lane, Far Headingley, near Leeds. The official opening was performed by Lady Balfour, with a ceremony of dedication conducted by the Rev. T.C. Smythe. 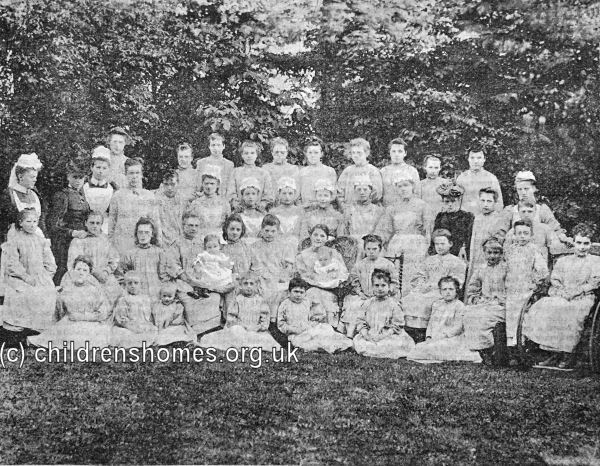 The home housed up to 30 orphaned or destitute girls aged from 10 to 15, particularly those who were 'delicate' or disabled and likely to be unsuitable for training as domestic servants. 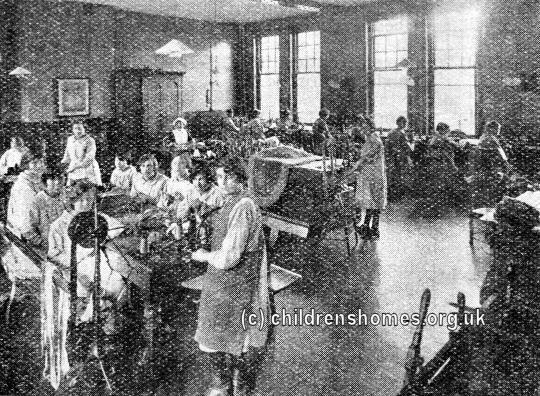 Instead, the home operated a factory knitting socks and stockings made of wool and silk. 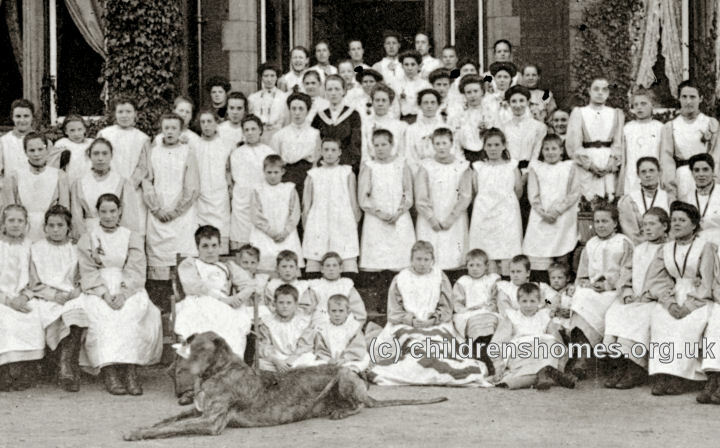 In 1890, there were twenty girls at work. The ground floor of the house was devoted to the machine-room, finishing-room, store-room, and office. There were nine knitting machines in operation, each able to turn out seven pairs of stockings a day. The stockings were mostly made by machine, and were then taken to the finishing-room to be "toed," and finished by hand. From there they went on to the pressers, who placed them on blocks, and fitted them, by means of heavy irons, into shape. Then they were paired and carded, and passed on to the forewoman for examination. 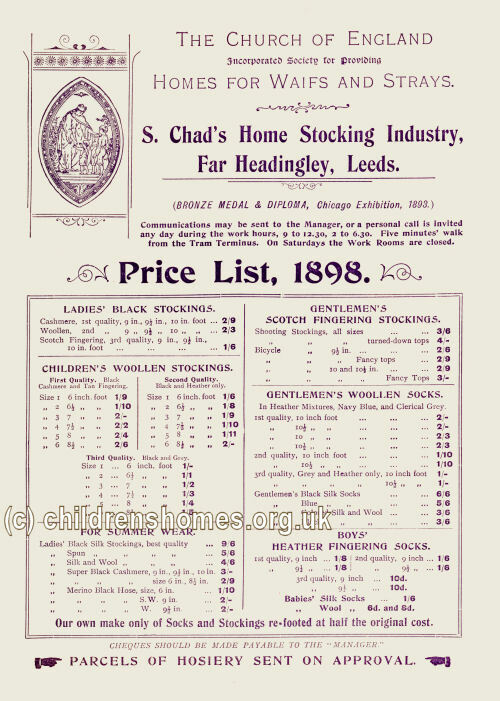 The socks and stockings were knitted in all sizes, and a variety of qualities, from the tiny silken hose of the baby, or the silk or cachemire hose of the lady, to the strongest and coarsest socks for the use of Reformatories, Industrial Schools, and Unions, for which they were made by the gross. The standard of the goods produced was very high and generated a significant income for the home. 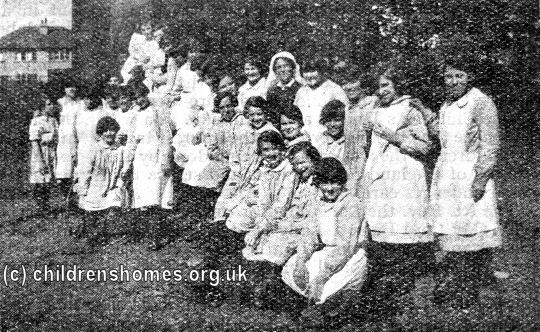 By 1890, the enterprise had expanded to such a degree that the girls' sleeping quarters were transferred to another property, known as Monk Bridge House, a few minutes walk away on Monk Bridge Road. Before too long, plans were made to erect much larger purpose-built premises for the home. 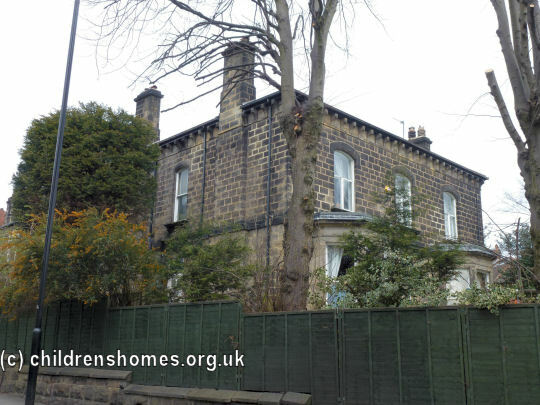 A site was found on Hollin Road and Mr. W. A. Hobson, of Albion Street, Leeds, was appointed as architect. 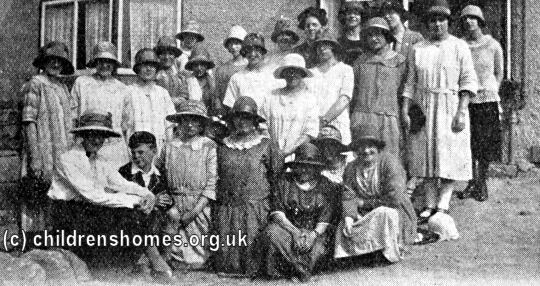 A donation of £3,000 towards the cost of the home was given by Mr. E.W. Beckett, MP, in memory of his late wife. 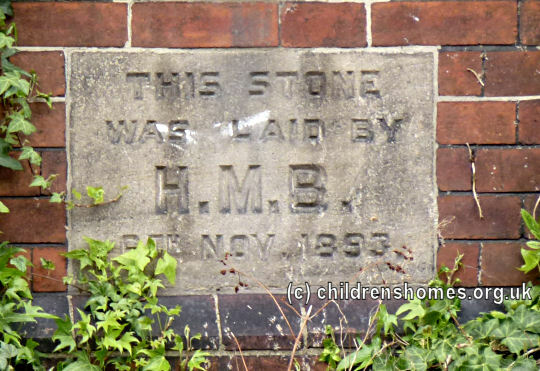 On November 6th, 1893, foundation stones for the new building were laid by Mr Beckett's three children, Lucille, Helen and Ralph. 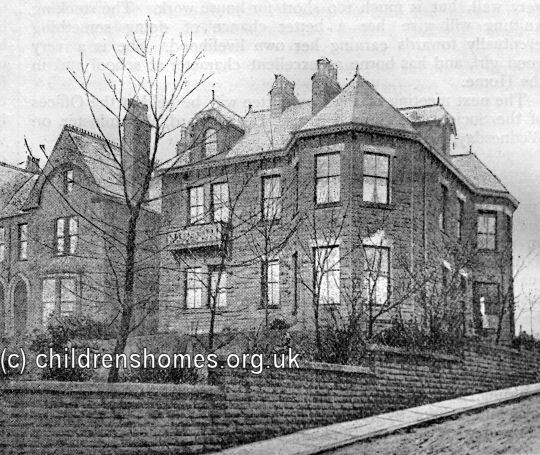 The new home was officially opened by Lucille Beckett on December 1st, 1894, with the Bishop of Richmond conducting a service dedication at St Chad's Church. After the service, a procession made its way to the home headed by a battalion of the Leeds Fire Brigade, in full uniform. 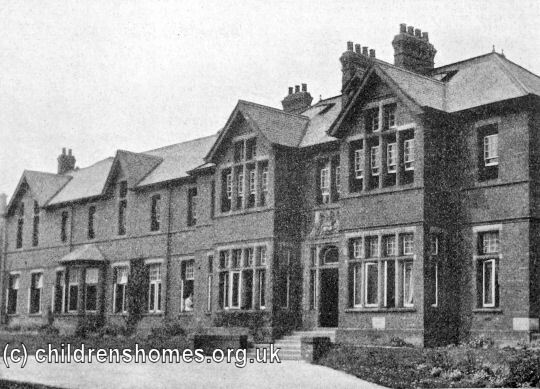 The main part of the new building fronted onto Hollin Road and contained accommodation for 78 girls. In the large hall facing the home's entrance porch, a large old oak chimney-piece was installed. 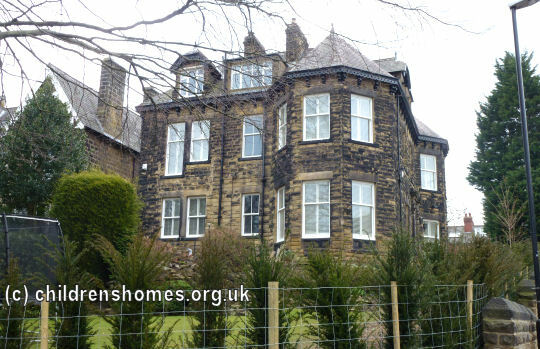 This had previously adorned Kirkstall Grange and was another gift from Mr Beckett. The hall substituted as a chapel for daily prayers, was used as a classroom, and also served as a refectory for the Home's staff. 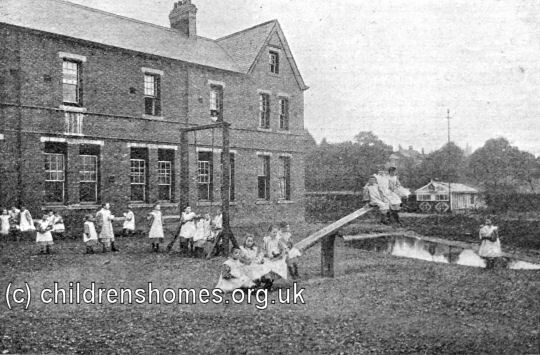 To the right was a sitting-room with office for the lady superintendent, and to the left the sewing and outfitting room, and a south-facing hall in which the girls lived, dined and played. Adjacent to this were the kitchen, sculleries and pantries. A stone staircase led to the first floor, on which there were two dormitories with washrooms and bathrooms, and bedrooms for the matrons. 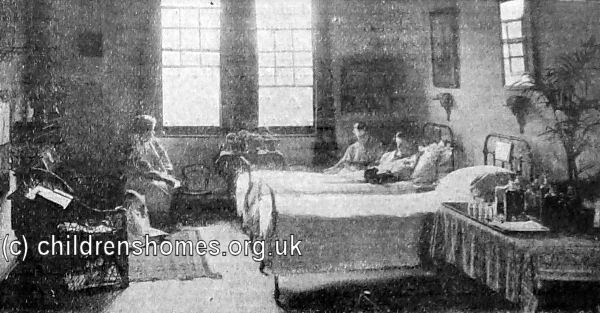 A sickroom was isolated from the rest of the house. To the rear of the main building were a laundry block and a manufacturing block. The Home's sock and stocking making enterprise was successfully transferred to the new building. The range of its production is shown in the price list below issued in 1898. The new laundry facilities also became the basis of another successful business. 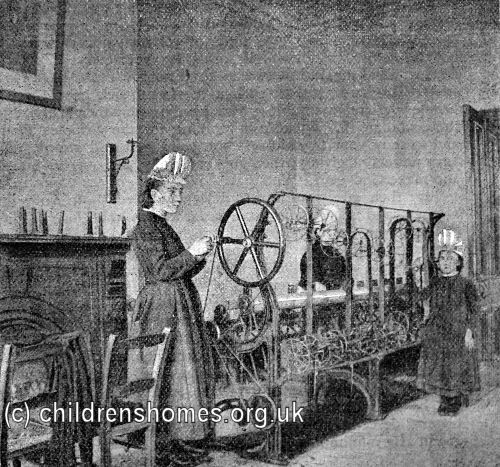 Part of an 1899 account of the Home's laundry and manufacturing activities is given below. [In the laundry] the whole business of washing — from the sorting and numbering of the things on their arrival on Monday, to their re-sorting and packing on Friday — is carried on by the girls themselves. Everything is done methodically and in order. 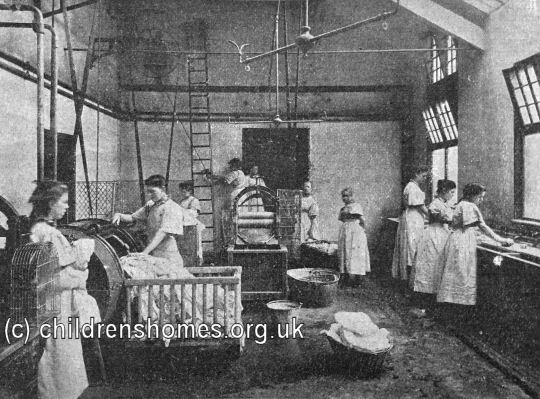 In the wash-house all are provided with clogs and rubber aprons. 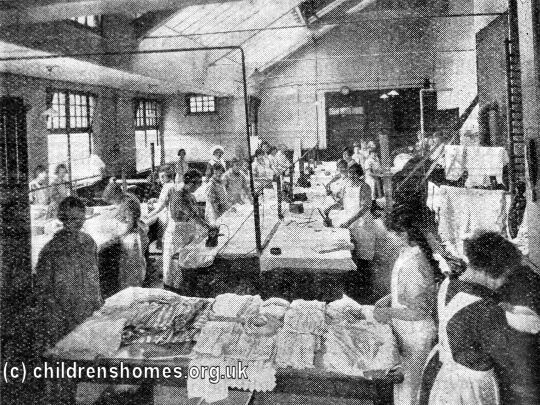 Some of the girls scrub at the various troughs which line one side of the room; some preside over the washer, transferring the dripping clothes as they become clean to the wringing-machine. This is turning 1,200 times a minute, so it is not long before every drop of water is squeezed out and the clothes are transferred to the drying-room. The scene in the ironing-room is just as busy. The industrious young workers are all arrayed in their pink print frocks and white aprons. 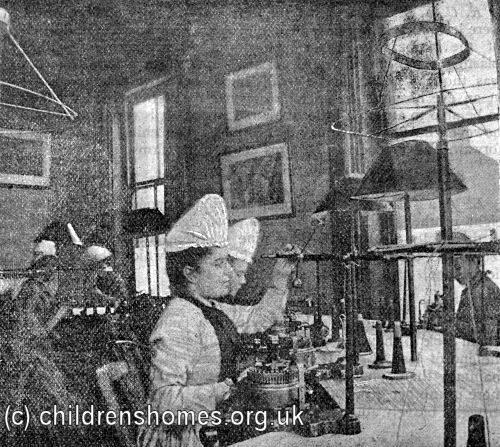 Down the middle of the room table-cloths are being ironed, and on the left under-linen, whilst in one corner the ironing and glazing of shirts and other fine things goes on. This is the most important and difficult part of the business. The girls all look intent on their work. Many have such bright faces, and look so full of fun, that one can imagine that they will thoroughly enjoy the game of play that comes later on. That there is never a lack of work can easily be imagined when I say that the washing for eighty different families is done in the Home. Not by any means less interesting than the laundry is the Stocking Knitting-room. Twenty-two girls are engaged on this. Some of them are winding wool on to the bobbins ready for the machines. Others are working away steadily at the machines themselves. Others, again, are finishing off the stockings — sewing the two edges of the toes together, and carefully examining the work to see that there are no dropped stitches anywhere. Then they are handed over to the "presser," who with a very hot iron gets every crease out until the stocking is quite smooth. 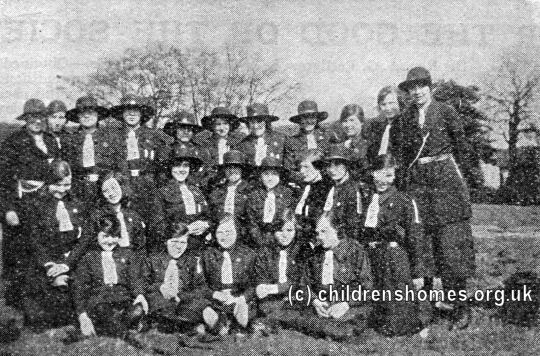 That the girls are energetic will be understood when I say that they knitted 11,000 pairs of stockings in one year, They have had much encouragement to help them on, for besides receiving a Bronze Medal and Diploma at the World's Fair in Chicago, in 1893, they have been honoured by Royal patronage, which is, of course, much appreciated. An important branch of their work is that of making episcopal silk stockings. 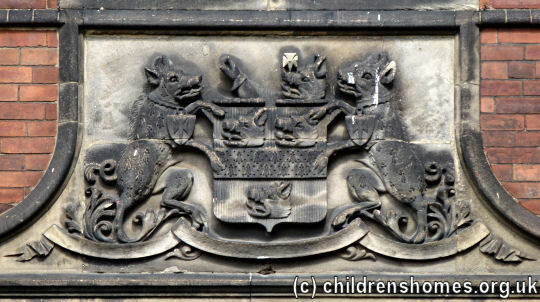 These have been patronised by several bishops, besides the Archbishop of York. 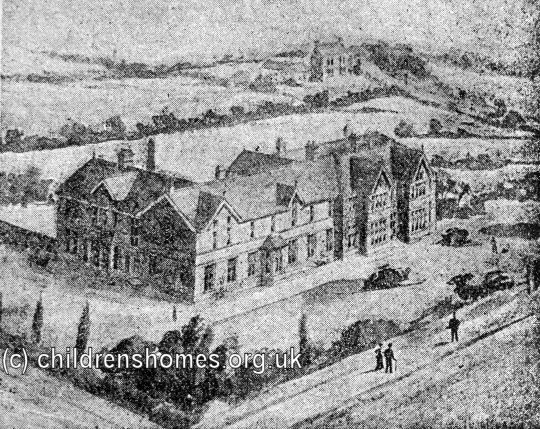 They also have the contract for St. Anne's School, Redhill, which brings in regular work to the Home. Here is an advertisement for the home's wares from 1931. 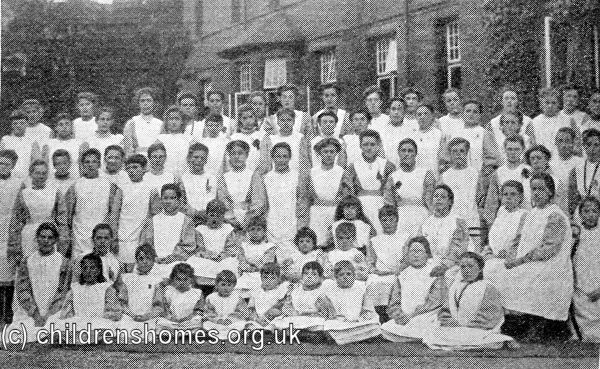 Many of the residents of St Chad's joined the Girl Guides, with all their uniforms being made in the home. 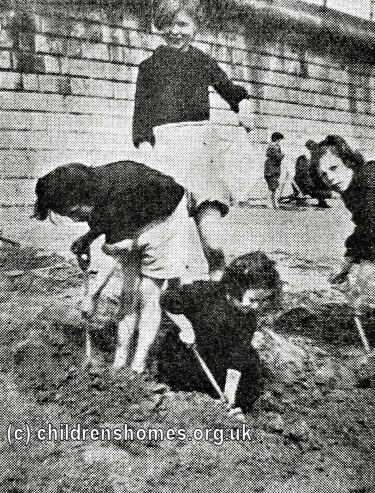 A holiday at the seaside was a feature of most summers. Filey was a favourite destination. 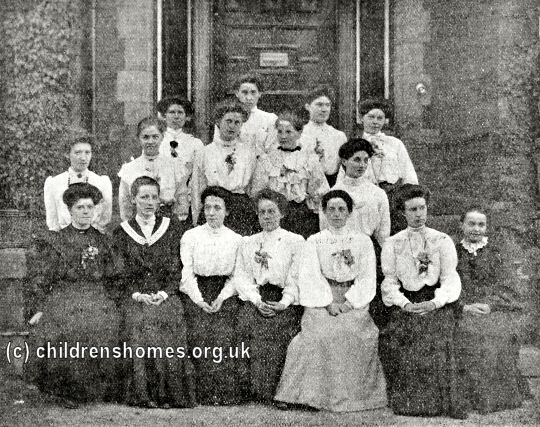 Some of the girls at St Chad's did end up in domestic service in the area and often kept in contact with the home and with one another, with occasional group gatherings or outings being organised. 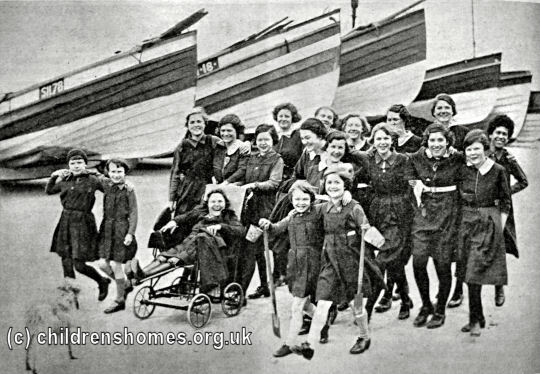 There were also occasional reunions of the home's 'old girls'. 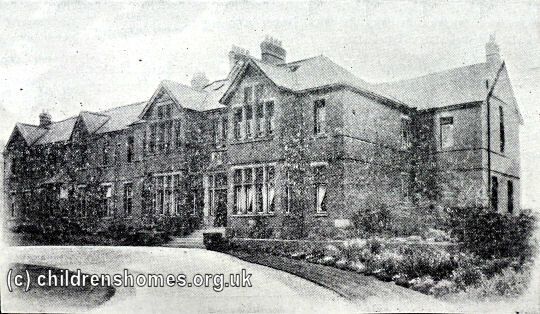 The home closed at the outbreak of the Second World War in 1939 when the premises were commandeered for use as an Air Raid Precaution post. 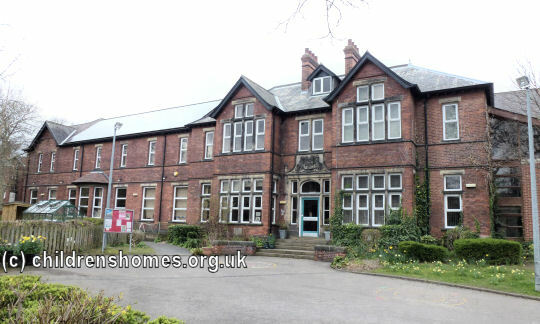 The property was later taken over by Leeds Education Authority as student accommodation, originally known as St Chad's Hostel then later as Hollin Hall. 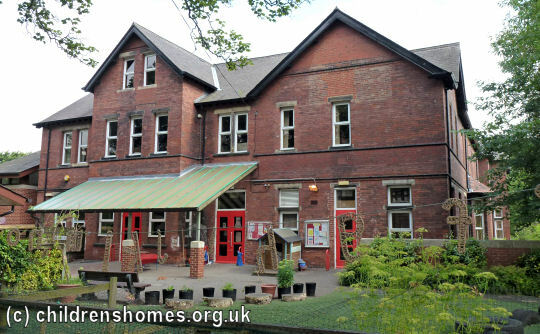 Since 1995, the building has been occupied by Weetwood Primary School.